Heritage's elegant range of complete showers are precision engineered to provide a luxury showering experience. The shower valves are thermostatic so the water stays a consistent temperature even if the water pressure fluctuates. 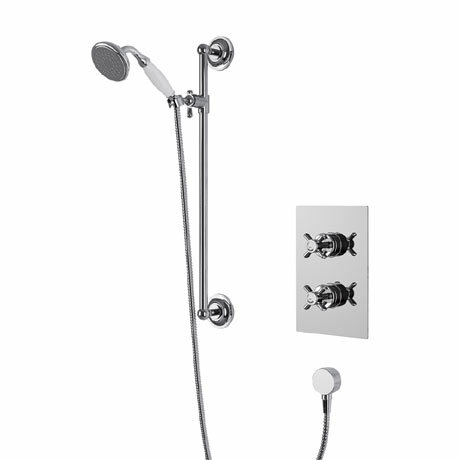 This classic Dawlish shower features an adjustable riser with a dual control thermostatic shower valve. The sleek elegance and timeless style makes it ideal for a traditional bathroom. Available in chrome and gold and quality assured by a 5 year guarantee.